After only two nights in Edinburgh, we drove further north into Scotland on our way to Stirling. 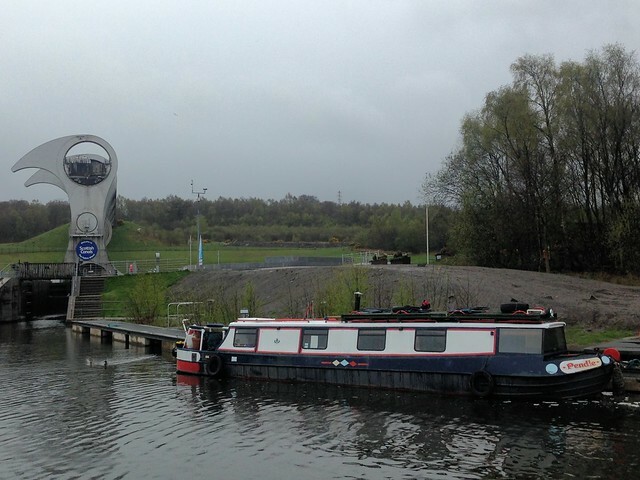 We decided to make a stop at the Falkirk Wheel - an ingeniously designed boat elevator linking the Forth and Clyde Canal to the Union Canal. This historic canal route was originally developed during the Industrial Revolution and connected Glascow with Edinburgh. By the 1930's the series of locks that connected the two canal were no longer functional. The current structure is a graceful mechanism for lowering and raising the boats the requisite 75 feet. Tourists can now tour the area by canal boat. Boats can be rented for multiple days and lived in like houseboats or other vacation homes. 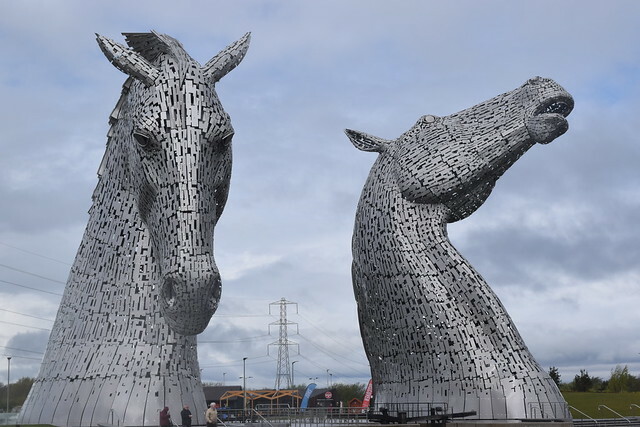 Very near the Falkirk Wheel are the Kelpies. We had never heard of these majestic horse head sculptures but saw them from afar. We couldn't help but to get a closer look - though we opted not to go inside.